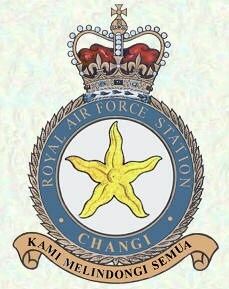 CHANGI, SINGAPORE In 1967, No 48 Squadron built up to a strength of 12 Hercules aircraft, at RAF Changi in Singapore. The aircraft, tasked by the Far East Air Force (FEAF), performed Scheduled Flights to Hong Kong and Gan/Karachi and frequent training flights were made to the North and South Pacific, East Africa, Australia/New Zealand, Thailand and East/West About. During its time in the Far East theatre, the Hercules was involved in contingency operations to quell civil unrest in Mauritius, flood relief in East Pakistan (now Bangladesh) and Malaysia. No 48 Squadron reduced to 8 aircraft in 1970, before returning to RAF Lyneham in mid-1971 where it continued to operate route and transport support flights until its disbandment.